Excuse my snarky title, but I believe many cyclo-tourists do themselves a huge disservice by prioritising Alpe d’Huez above many far, far more interesting roads. So in an effort to convince people to consider cycling somewhere else —– here is my list of 100 better options. EDIT October 2018: I have added several additional climbs since this post was first published in 2016. In particular, I’ve added quite a few Austrian climbs. Only roads that I have cycled – ie. My list only has French, Swiss, Italian, and Austrian mountains. A summit counts only once. Although clearly, for example, all three sides of Stelvio, both sides of Gavia, at least two sides of Ventoux, etc. are much more fun than Alpe d’Huez. So this list is really far more than 100 climbs. For me a good climb is a combination of challenging, high, quiet, and beautiful (eg. mountains, hairpins, cliffs, alpine lakes, etc). Alpe d’Huez is of course still interesting. 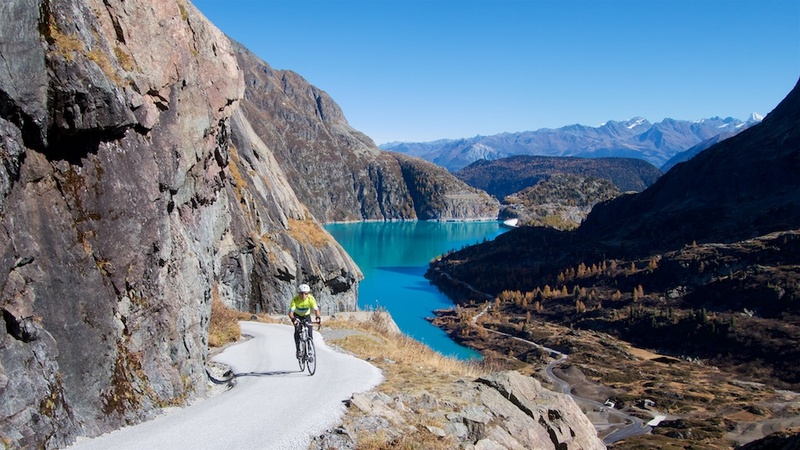 See this link for more (and sometimes better) rides in the area: Beyond Alpe d’Huez: The Best Cycling Climbs from Bourg d’Oisans. Feel free to disagree with some climbs on my list, but yes, I excluded a bunch of other roads that should have, at least arguably, made the cut. For maps, photos and trip reports for any of the below climbs, click on the links below or put the name into the search bar at top right of page. 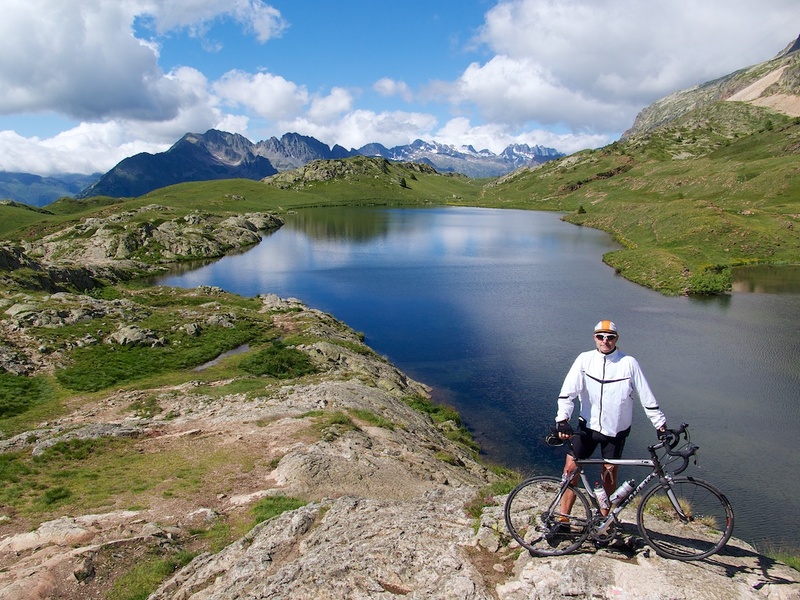 Colle del Nivolet – Super high, killer hairpins, and a bunch of stunning alpine lakes. The best. 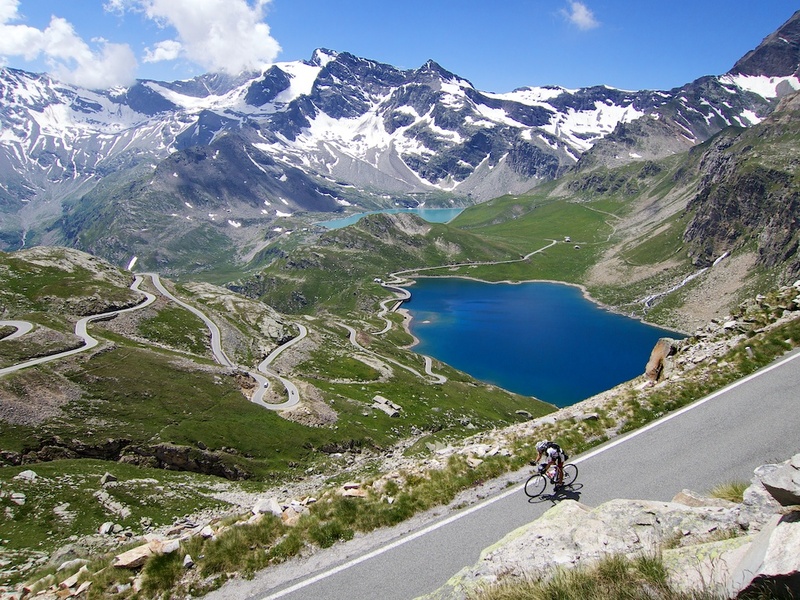 Passo dello Stelvio – All three sides (don’t forget the Swiss side via Umbrailpass) are beyond belief. Colle Fauniera – Three extremely difficult routes up this remote Piemonte climb. Passo Gavia – Huge, savage climb. Both sides terrific. Col de l’Iseran – the highest paved pass in Europe. Both sides wonderful. Kaunertal – In Tyrol Austria, the Kaunertaler Gletscherpanoramastraße is the 5th highest paved road in the Alps (2750 metres)! It was built in 1980 as a ski station road. Amazingly, it’s kept open 12 months a year. 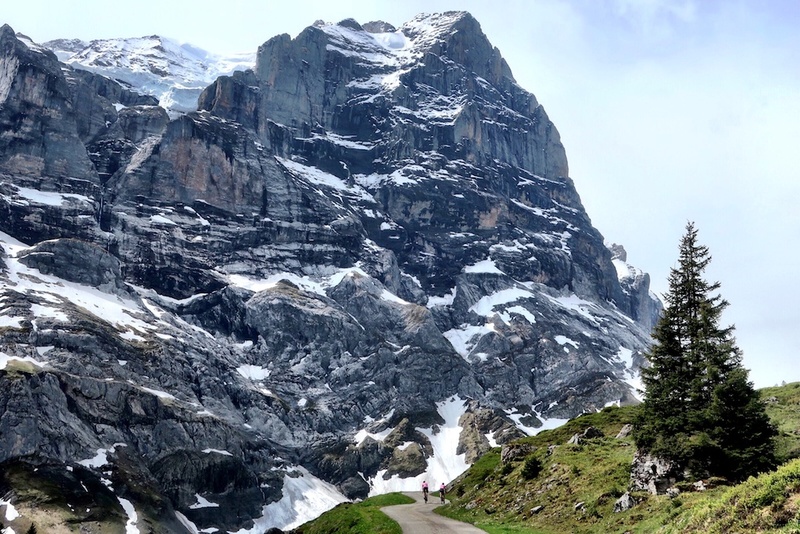 Grosse Scheidegg – Maybe the most beautiful on this list? Route des Lacs (Lac Cap de Long) – My favourite climb in the Pyrenées. Monte Grappa – 9(!) 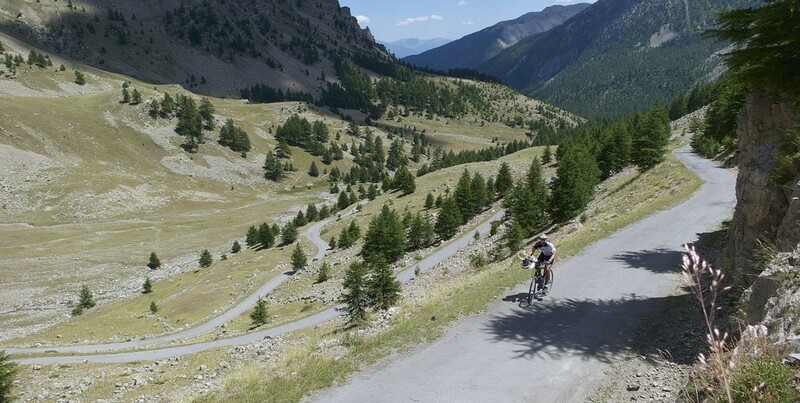 Hors Categorie routes up this legendary Italian mountain. 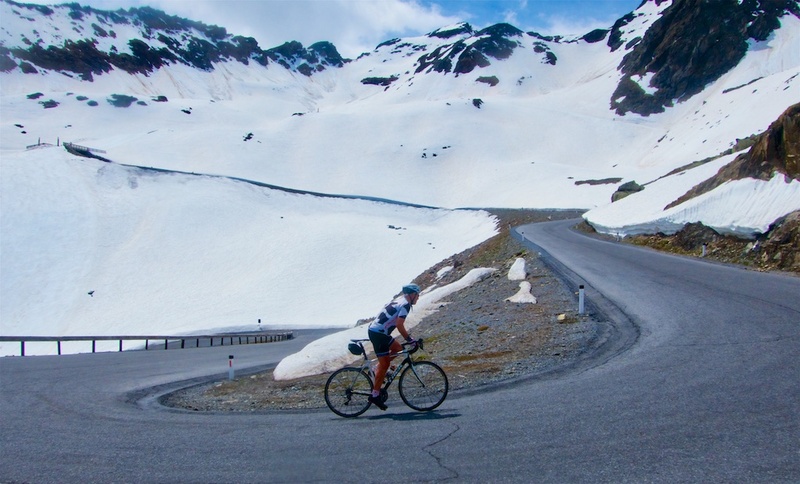 Grossglockner – Probably the most beautiful climb in Austria. 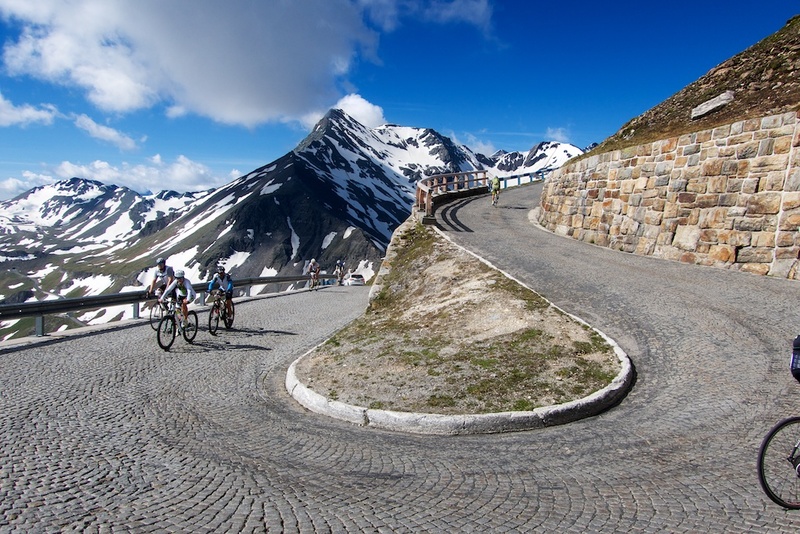 Remember to climb the cobbled extension: the Edelweissspritze, up to 2571 metres. 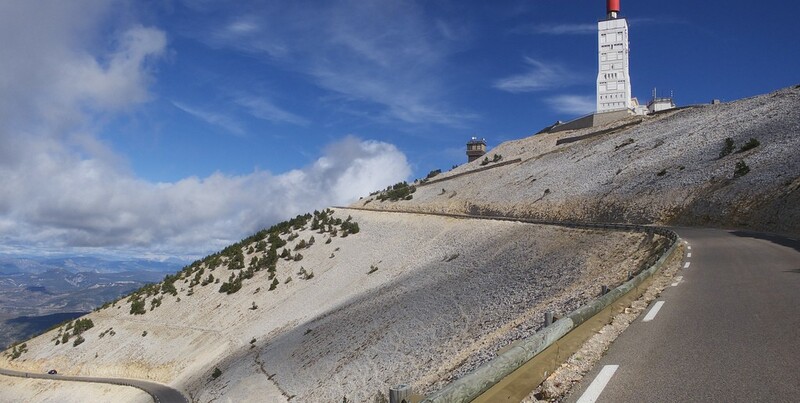 Mont Ventoux – Three ways up to this unique lunar experience. Lago di Narèt – Hidden in the Italian part of the Swiss Alps, this tough, quiet, long climb has several beautiful dams/lakes. I called this the best climb NOT in either of Daniel Friebe’s great Mountain Higher(er) series. Laghetti Superiore: A heart shaped lake? 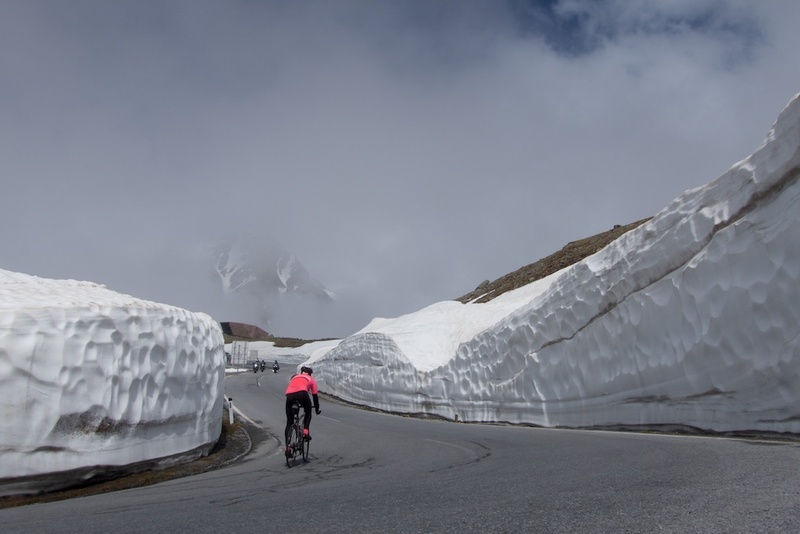 Cime de la Bonette – One of the highest roads in Europe. 2 big sides. Nufenenpass – The 2nd highest paved road in Switzerland. Hard work. 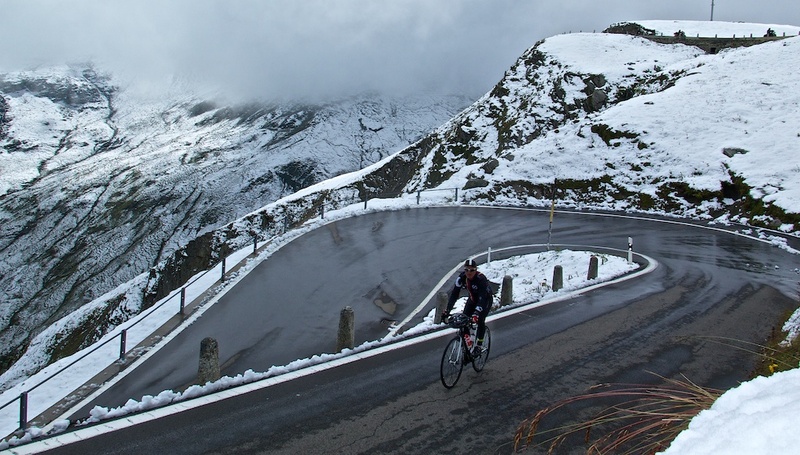 Colle dell’Agnello – On the French/Italian border, the 3rd highest paved pass in Europe. Italian side is a monster. Lac d’Emosson and above – A tough Swiss climb to a stunning dam. A tiny road beyond goes up to another dam. Timmelsjoch/Passo del Rombo – High on the Austrian/Italian border both sides are great but I especially enjoyed the more savage Italian side. Col du Granon – The 2nd highest Tour de France finish (’86) was here. But bring a mountain bike. As the link shows there are several unpaved cols and two perched forts above. 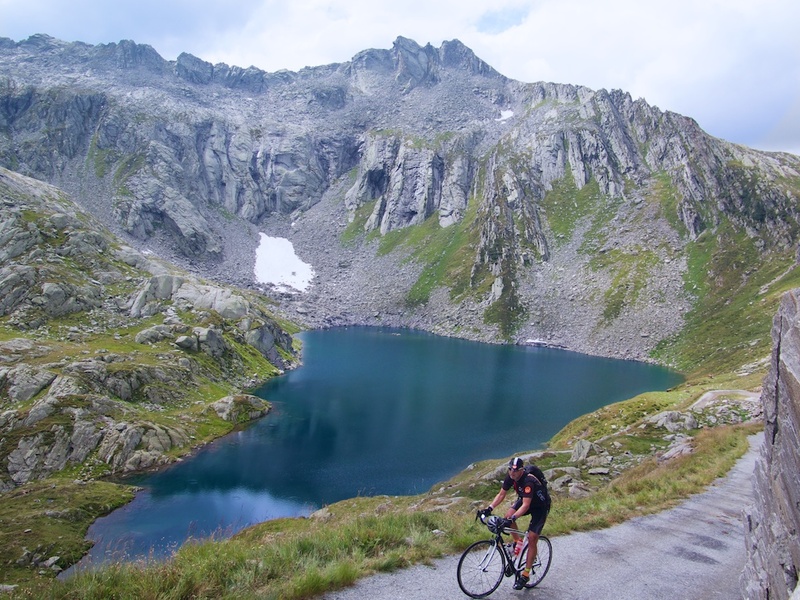 Plan du Lac – Beautiful, huge climb in the Haute-Maurienne (France). 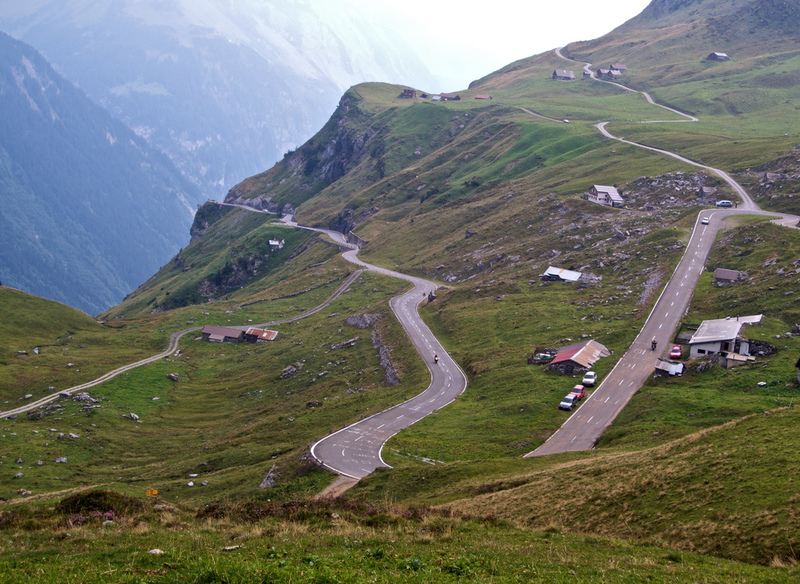 Passo San Gottardo – This Swiss Beauty has some of the sexiest hairpins in cycling. 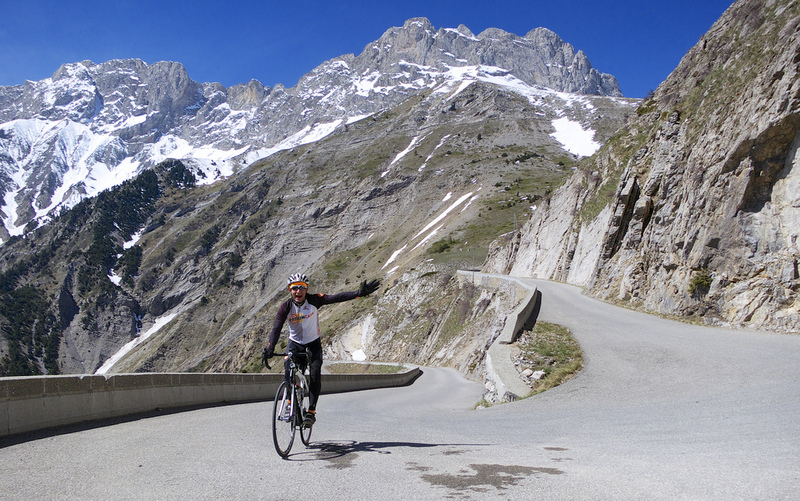 Col du Sanetsch – Swiss cyclists “in-the-know” will often tell you this is the best big climb in Switzerland. 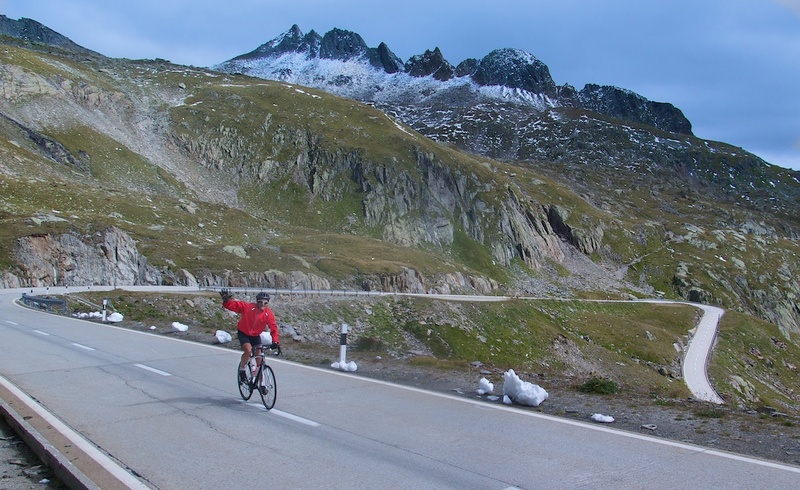 Col du Grand St-Bernard – On the Swiss/Italian border, the Italian side is superb. A car-only bypass tunnel keeps the hairpins quiet. Passo Giau – One of the true gems of the Dolomites. Both sides shine. Grimselpass – When climbing this Swiss giant, don’t forget the extension up higher to Oberaarsee. 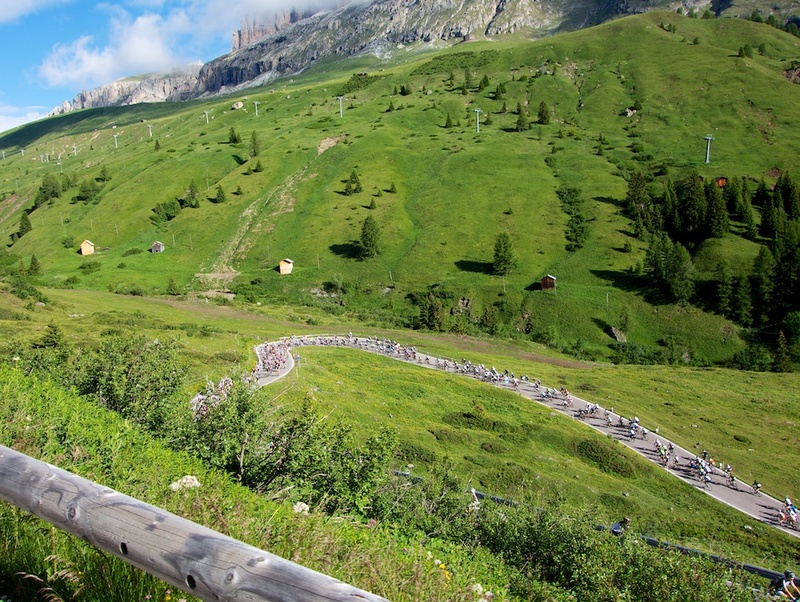 Männlichen – Super quiet (and difficult) climb in the UNESCO protected Berner Oberland. Look up and the Eiger is always there. La Grand Dixence – At the summit is one of the biggest dams in the entire world (3rd?) 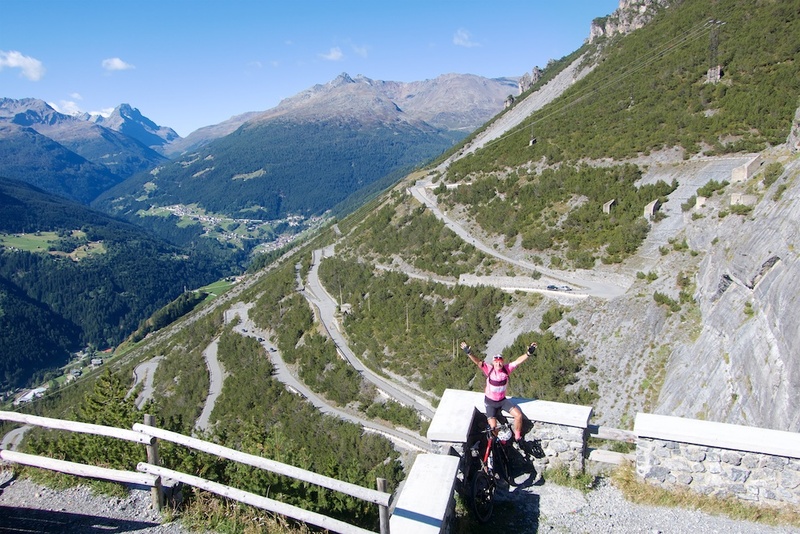 – one of many fun Swiss Valais rides to alpine dams. Lago di Teleccio – A fantastic little known climb to a high alpine dam in Piemonte, Italy. It’s a steep (I do mean steep! ), narrow little road that starts next to the beginning of the road to the legendary Colle del Nivolet. Rettenbachgletscher – This beast of an Austria climb is super high and super steep. I have never seen so many 13% signs in my life. 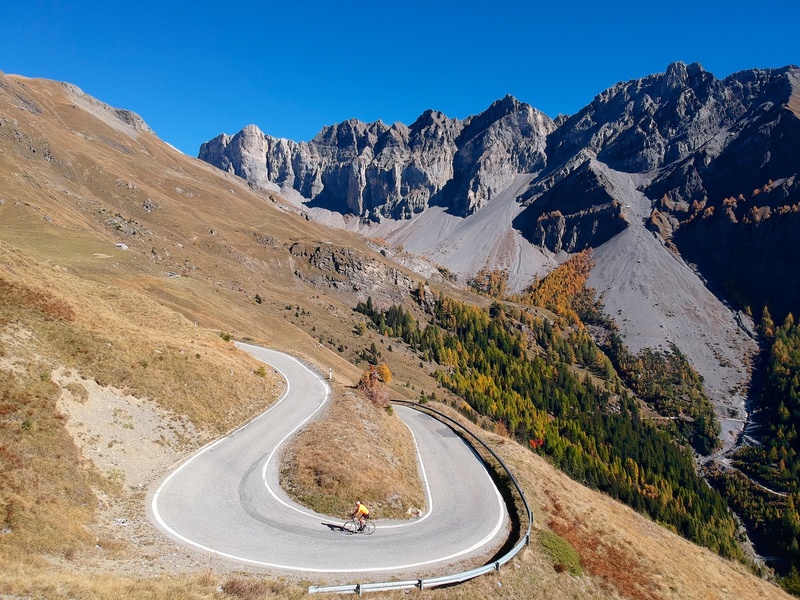 Col d’Izoard – The land of Coppi and Bobet. 2 sublime sides, the south includes the legendary Casse Deserte. Rifugio Auronzo – A super steep Dolomite road in the shadows of the Tre Cime di Lavaredo – bring hiking shoes to go even higher. Colle della Lombarda – High climb on the Italian/French border. The Italian side is fantastic. 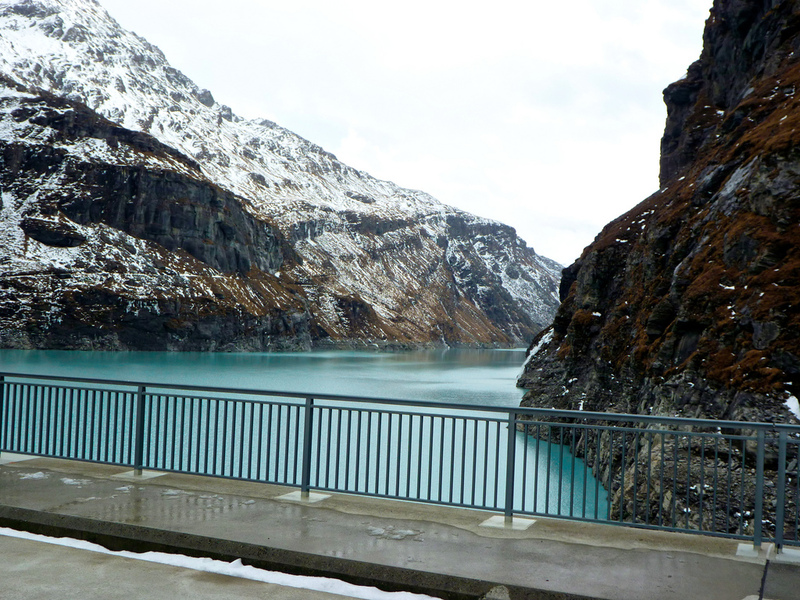 Lac de Moiry – The long option to this high Swiss Valais dam includes more than 2000 metres of ascent. Le Puy de Dôme – The legendary ride up to the summit of this dormant volcano has been closed to cyclists for the past several years. Except once a year on a special bike day. Fun. 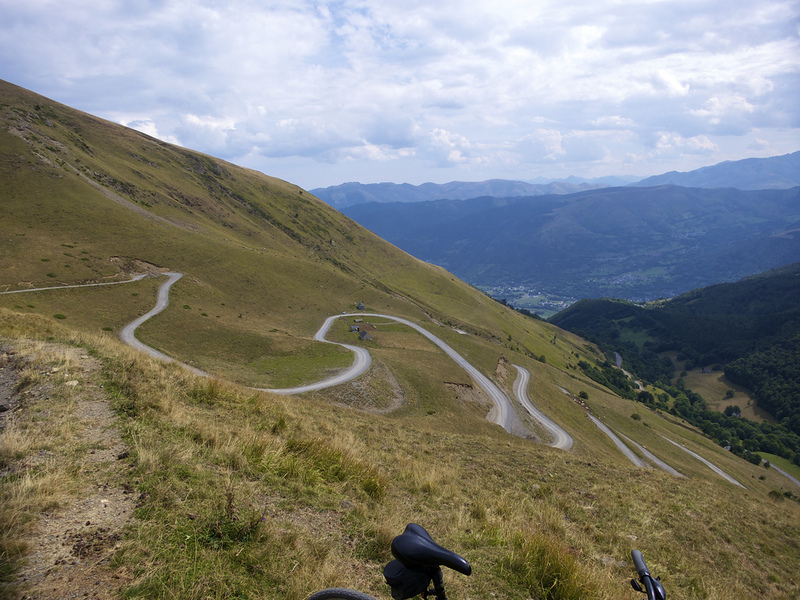 Cormet de Roselend – Beautiful climb on both sides. Remember, you can actually cycle over the dam. 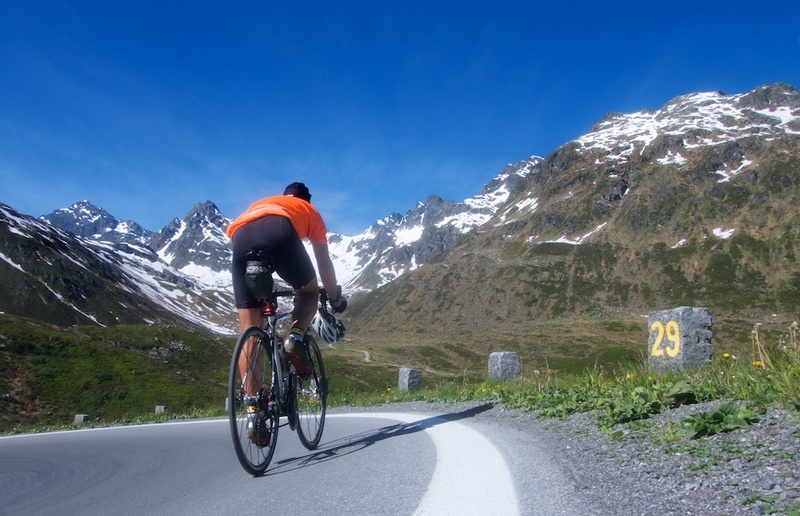 Val Thorens – 38 kilometre climb to the highest ski resort in Europe. 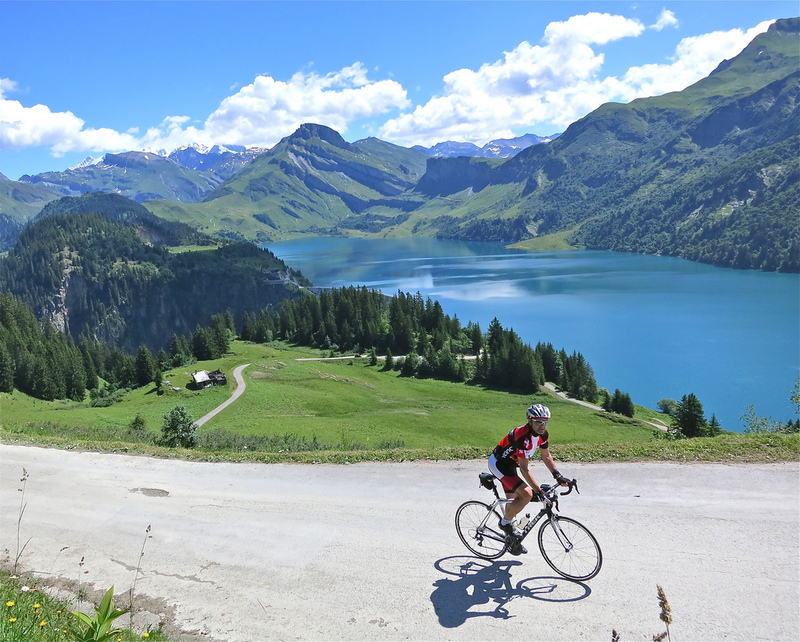 Lac de Mauvoisin – Same start as Verbier, another beautiful climb to a Valais dam. Furkapass – The Swiss giant appeared in the James Bond Film Goldfinger over 50 years ago (the sniper scene). Col de la Cayolle – A long, interesting climb in the south French Alps. 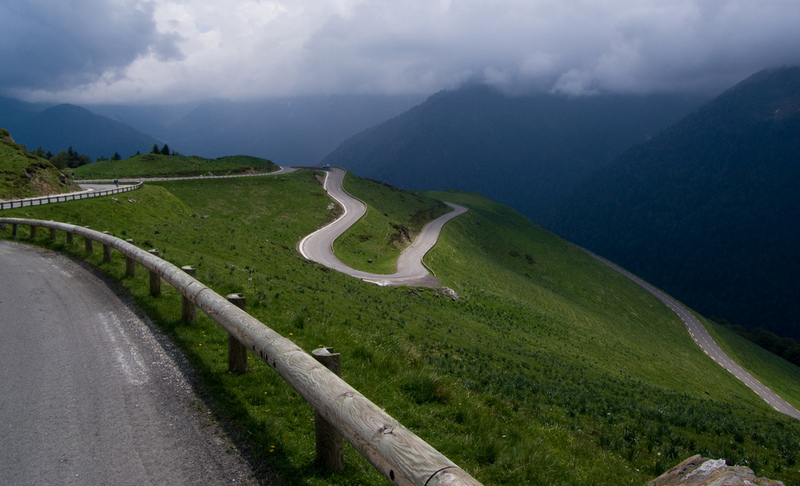 Albulapass – Beautiful, high pass that often features in the Tour de Suisse. 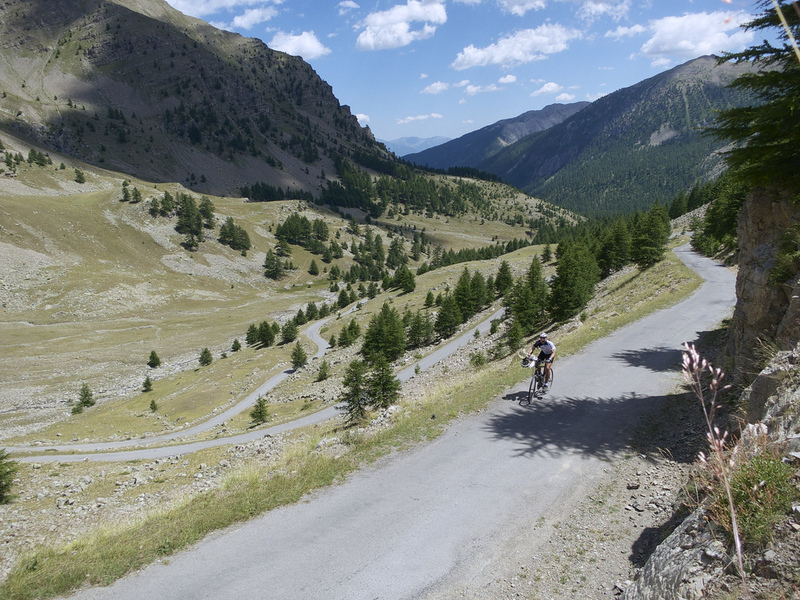 Col d’Allos – Some beautiful cliff stretches on this scenic climb beside Cayolle. Colle di Sampeyre – A tough Piemonte climb in the middle of no-where. Three ways up. Port de Boucharo – Highest paved road in French Pyrenées. Last short stretch beyond Col des Tentes may be recently closed to bikes. Passo Pordoi – Part of the great Sella Ronda loop in the Dolomites. Look for the Coppi statue at summit. Passo Sella – Also part of the Sella Ronda loop. Passo Gardena – Also part of the Sella Ronda. Note all three of above can be huge climbs when one includes the less spectacular stretches below the loop. 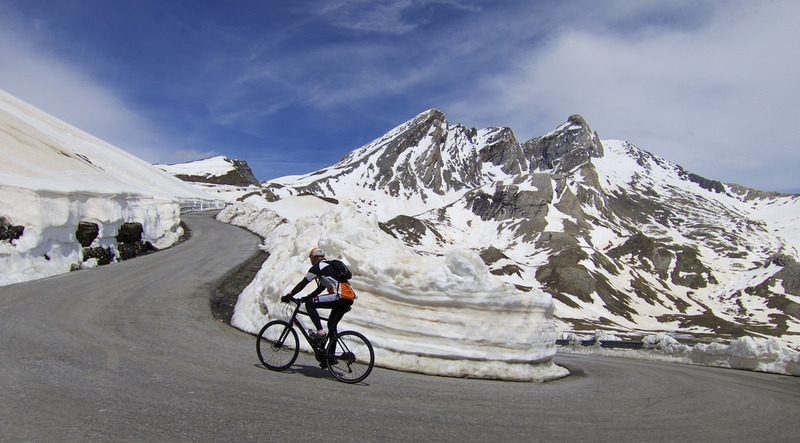 Cirque de Troumouse – Stunning and quiet climb that starts between the base of Tourmalet and Aubisque. Sustenpass – Another of the Central Switzerland giants. Makes a great loop with Grimselpass and Furkapass. Mattmarksee – Yes, another very challenging climb to a Swiss Valais dam. Above Saas-Fee ski station. Col du Mont Cenis – On the French/Italian border. Yet again, it’s the Italian side that is far more interesting and challenging. There is also a quiet, tiny, little known third way up via Moncenisio. Don’t forget the lesser known extension on a terrific little road to Col du Petit Mont Cenis. Passo San Marco – Passo San Marco was a revelation for me. 26.5 kms and 1740 metres vertical ascent. Gigantic. It starts far lower than most big climbs so its summit altitude can mislead one into thinking this Italian climb is not huge. Croix de Cœur – The last few kilometres only recently paved. The climb includes the road to Verbier but its 6 best kilometres are above the village (bring a mountain bike and you can go much higher too). Ofenpass/Pass dal Fuorn – In the super scenic Swiss National Park at the far east of country. Lac d’Engstlen – Very quiet central Swiss road up to a little lake. 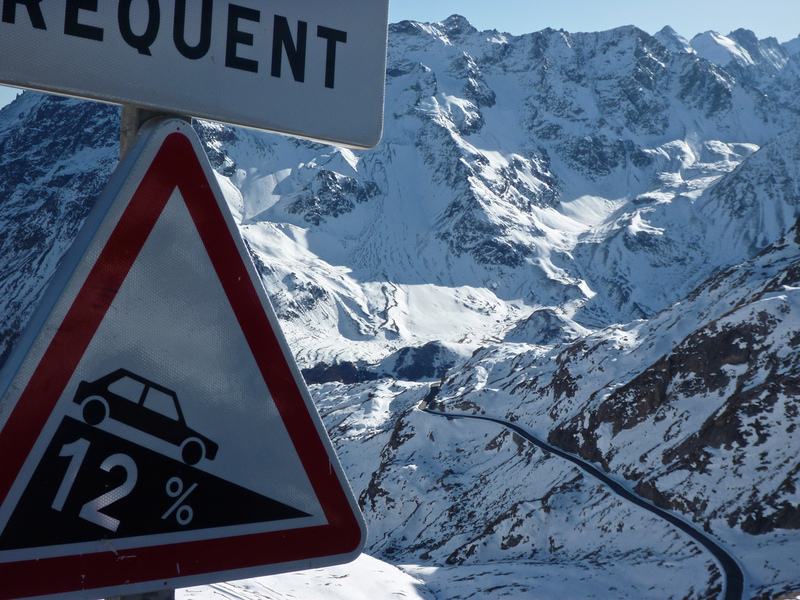 Col du Sabot – Higher, harder, and quieter than its neighbour ….. Alpe d’Huez. 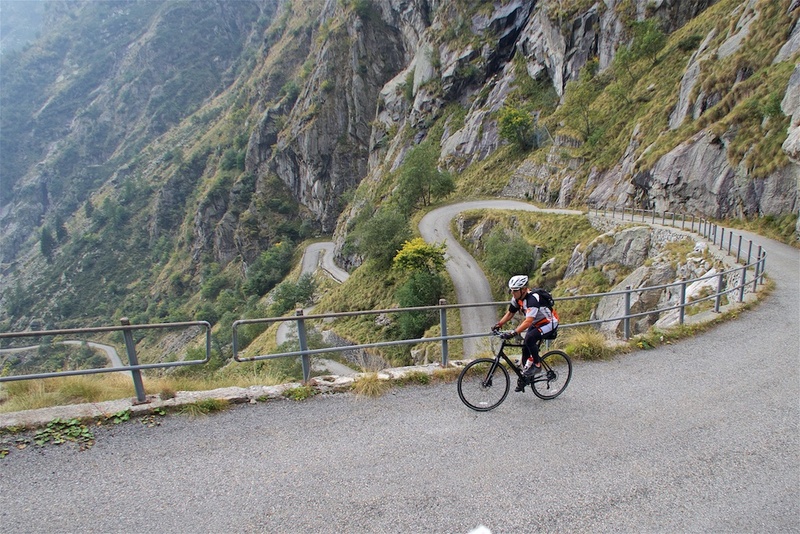 Col du Tourmalet – Not quite the best, but the best known climb in the Pyrenées. 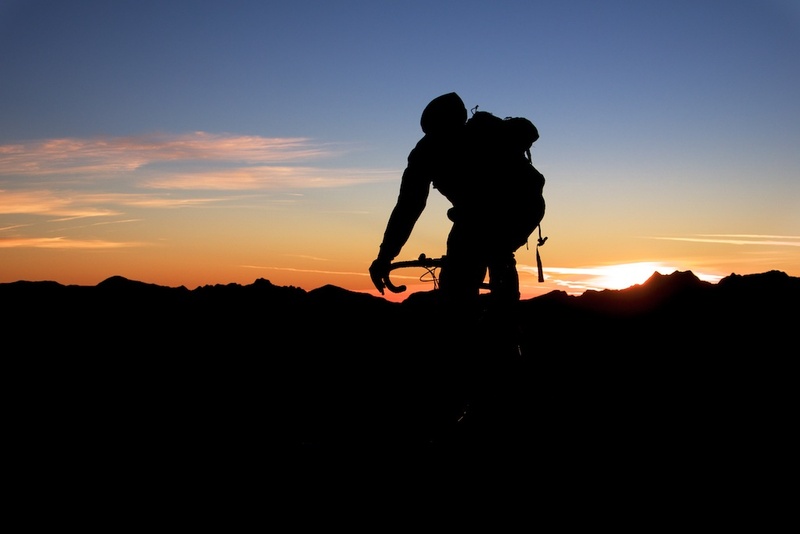 Although the mountain bike ride above Tourmalet to Pic du Midi (see link) is a dream. 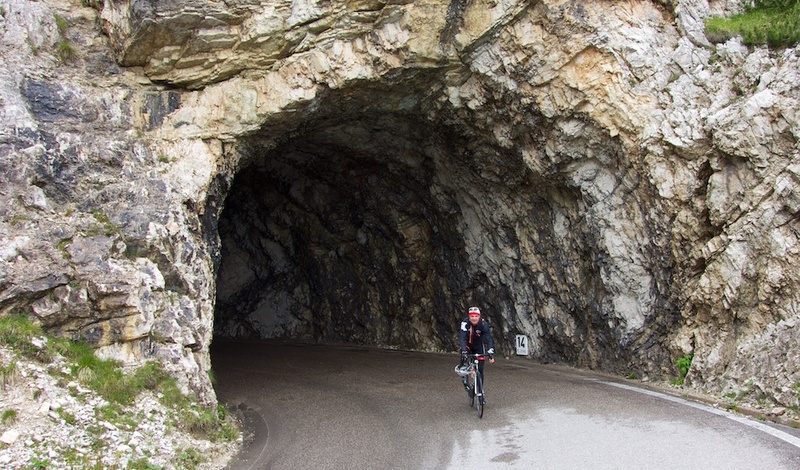 Kitzbuheler Horn – This is easily the steepest 10 kilometre stretch of paved road I have ever cycled. Ouch. Remember to take the tiny extension above where the pros finish. It goes to the very summit of this monster. Col de Portet – It was gravel when I climbed it, but was paved in 2018 for the Tour de France. So I have added this fun climb above Pla d’Adet to the list. A 100 metres higher than Tourmalet. 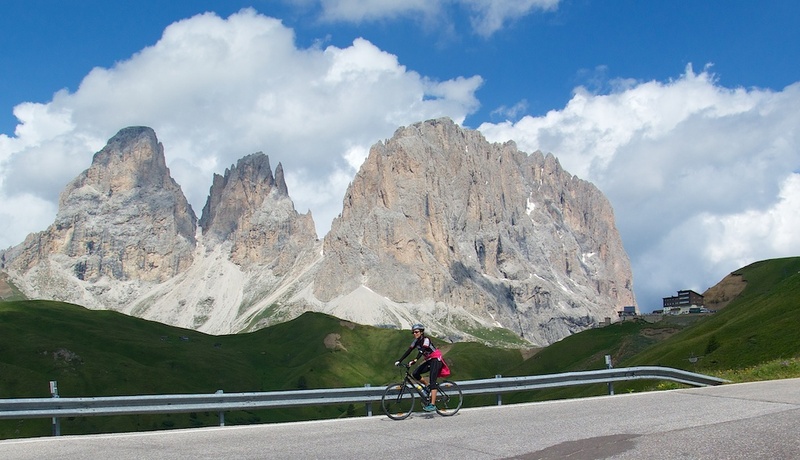 Passo Falzarego/Valparola – These two Dolomite passes are just a couple of kms apart. Several interesting ways up. Silvretta Hochalpenstrasse – Bielerhöhe – You know a road will be good when it has its own official web site. And if you’re a fan of this blog you know that many of my favourite rides are up to high alpine dams/lakes … this ride has two. Silvretta has #29 Hairpins. Take that Alpe d’Huez! La Plagne– Like Alpe d’Huez, there are 21 signed hairpins to this French ski station. But La Plagne is quite a bit higher and an awful lot quieter. Col des Champs – The best loop in the South French Alps: Champs, Cayolle, Allos. 120 kilometres, 3 big climbs, no traffic. Barrage Plan d’Amont – Haute-Maurienne climb to two big dams above Aussois ski station. Remember to take the correct lower road that passes several old stone Savoie forts. 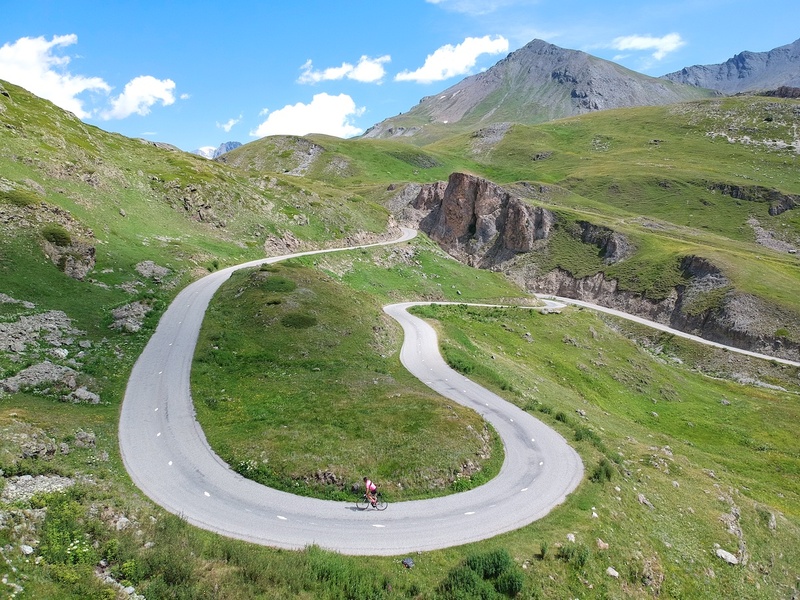 Col de la Croix de Fer – Several ways up this legendary French climb. Climb via Col du Mollard for extra hairpins. Col du Petit St. Bernard – On the French/Italian border. 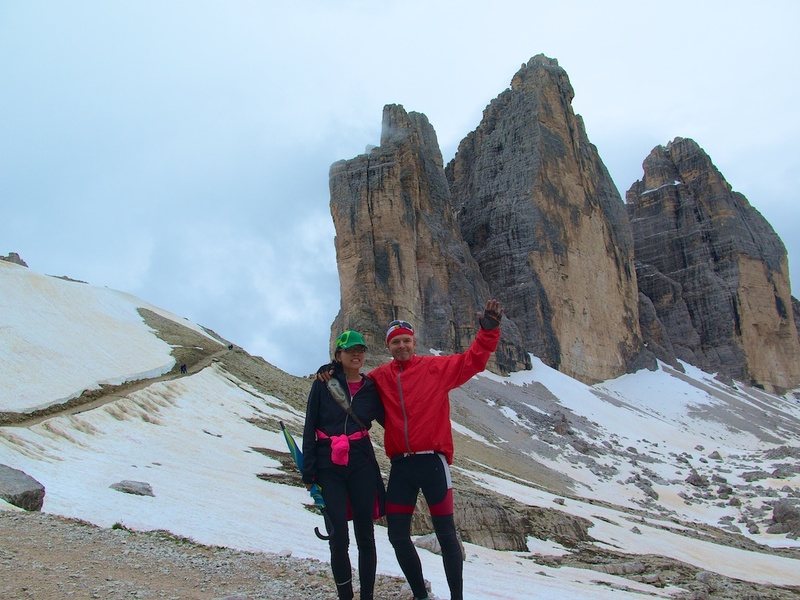 Climb the Italian side via the super steep Colle San Carlo for a special treat. Col de la Croix – There are dozens of Cols with Croix in the name, but the Hors Categorie climb above Aigle is perhaps the best, and certainly one of the toughest. Superbagnères – This Ski station in the Pyrenées is surrounded by 13 peaks over 3,000 metres. 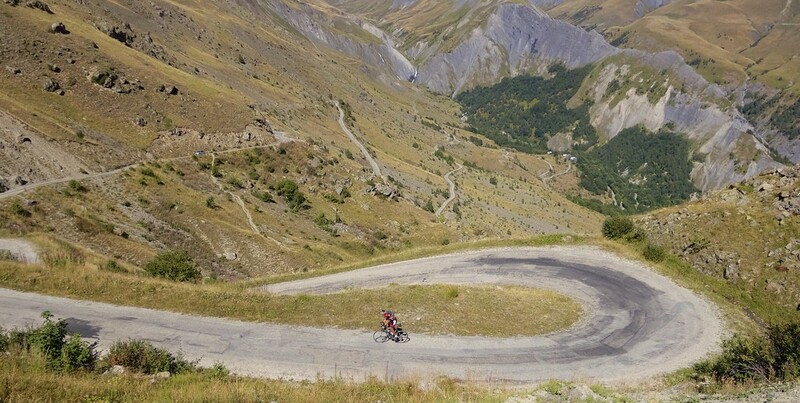 Col de Sarenne – The quiet, higher, harder back door to Alpe d’Huez. Kühtai Sattel and above to Speicher Finstertal – The top stretch to the lake/dam at 2335 metres was covered in snow when I biked/hiked to it. But trust me, this beautiful Austrian climb is fully paved. 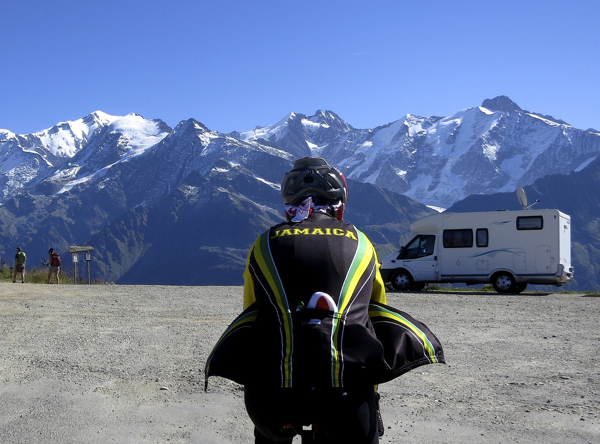 Col du Joly – Dead-end road above Beaufort with a summit up close and personal with Mont Blanc. 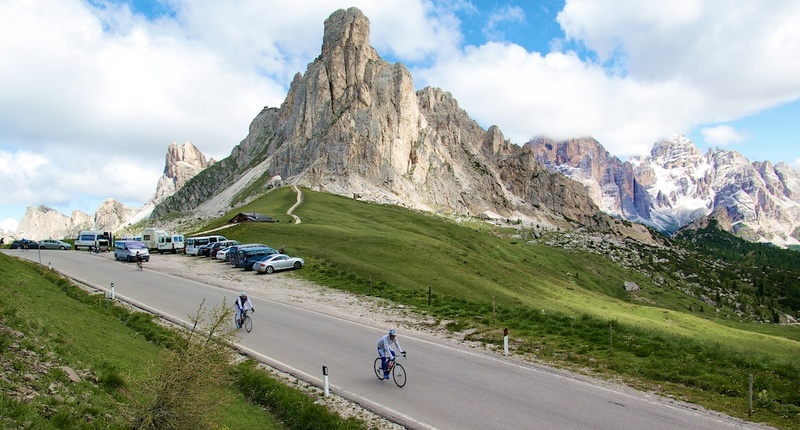 Passo delle Erbe – Locals in the Dolomites love this climb. Lago di Place-Moulin – In the Aosta (French-speaking) region of Italy another climb to a high alpine dam. Klausenpass – At the base of the west side of this Swiss climb is the hometown of William Tell. Signal de Bisanne – A super-tough climb in the Beaufortain region of France. 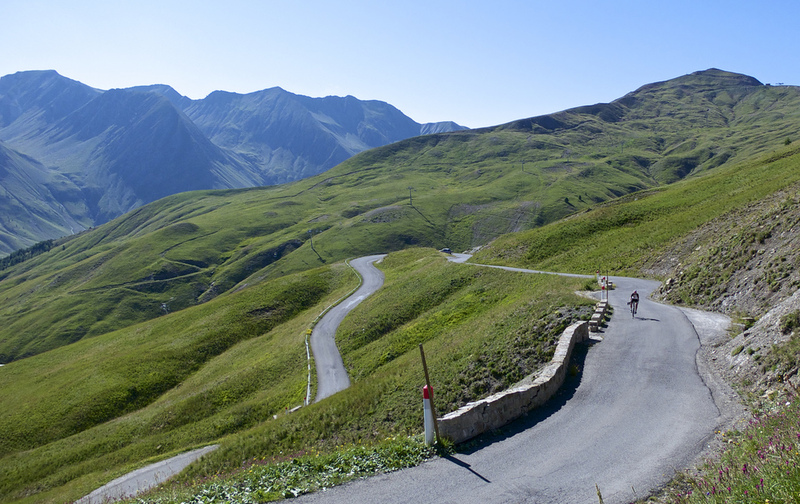 Col du Glandon – The last two kilometres are some of the best hairpins in cycling. Passo del Lucomagno – On the border of German and Italian speaking regions of Switzerland, the Italian side is over 40 kilometres long – nice dam/lake at top. Port de Balès – The top 5 kms or so of the south side was paved in 2006 to allow this remote Pyrenées climb to 1st appear in the Tour. Fluelapass – High, scenic climb in eastern Switzerland. Mortirolo – The famous, super steep climb with a Pantani monument is just down the road from Passo di Gavia. 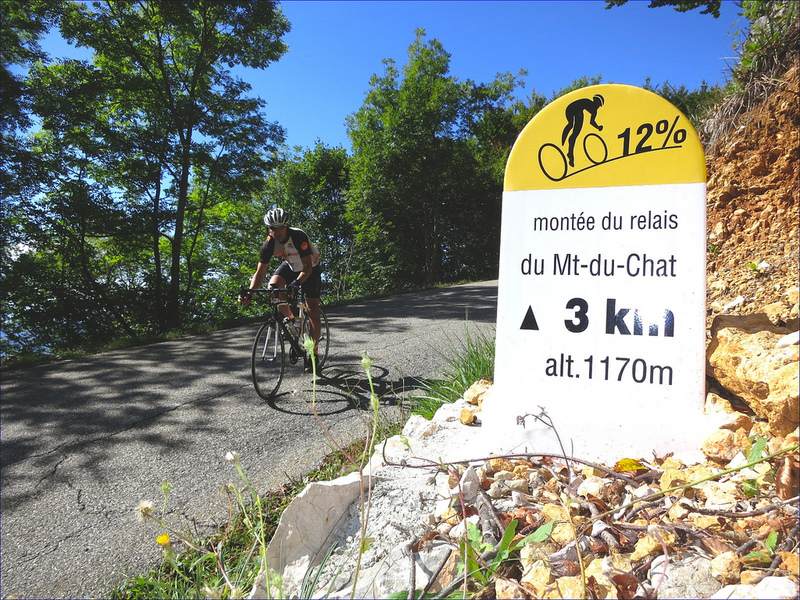 Mont du Chat – Le Cycle Magazine once called this possibly the toughest climb in France. Overlooks Lac du Bourget, biggest lake in France. 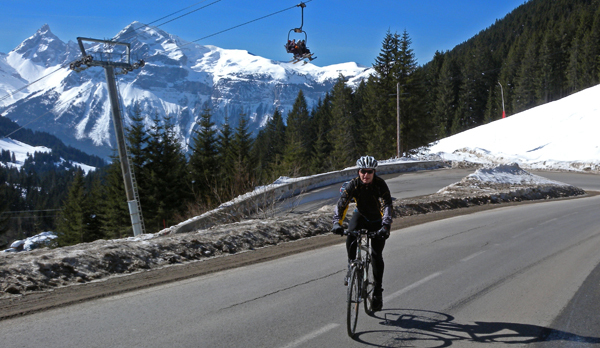 Col de Pierre Carrée – Scenic 21 kilometre climb to Flaine ski station in Haute Savoie. 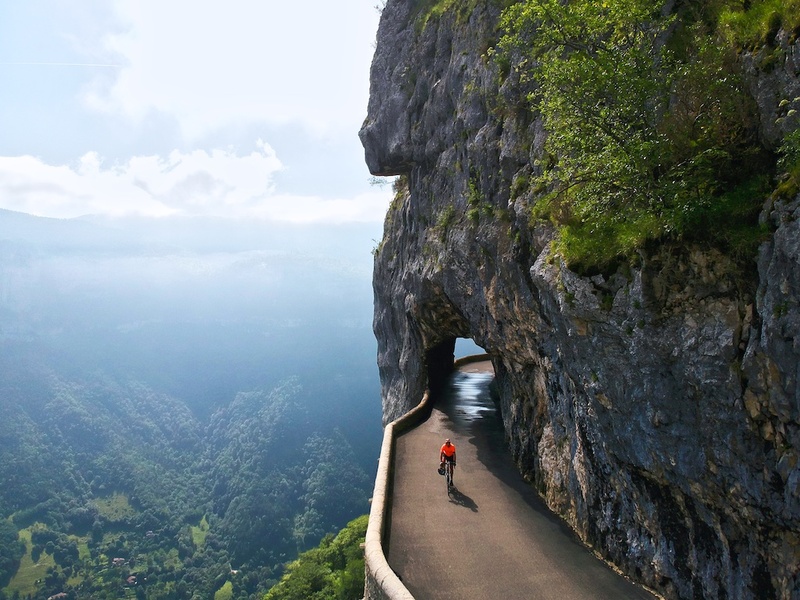 Grand Colombier – Don’t confuse this Jura giant with its easier Alps cousin Col de la Colombière. Four super tough ways up. 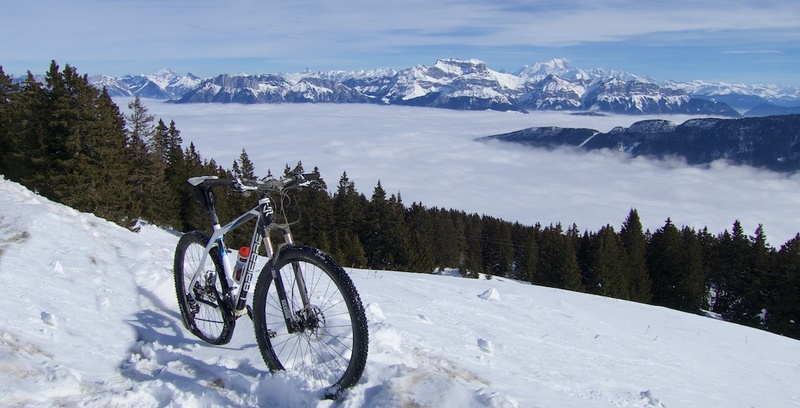 Le Semnoz – The highest paved climb near Annecy. 5 Routes to the summit. Col de la Colombière – Take the less well known 3rd way up via Col de Romme, if you dare. Courchevel Airport – At the end of the road above the famous French ski station, the signs in Russian help explain where richest skiers are from. 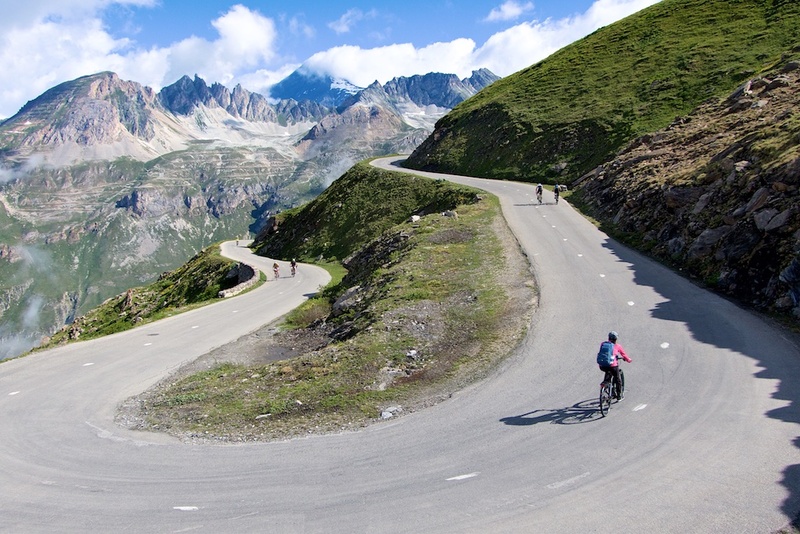 Plateau de Beille – This Pyrenéen climb shares almost identical stats to Alpe d’Huez. But the route is far, far, less developed and busy. 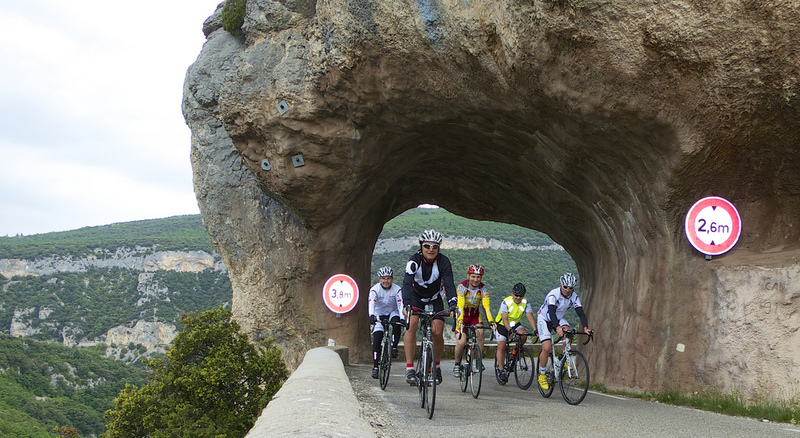 Pas de la Bau (Route des Crêtes) – One of my favourite rides ever was through the Gorges du Verdon. A double loop with several cols. The interior loop climbs a mountain overlooking the gorges on a road called the Route des Crêtes. Great. 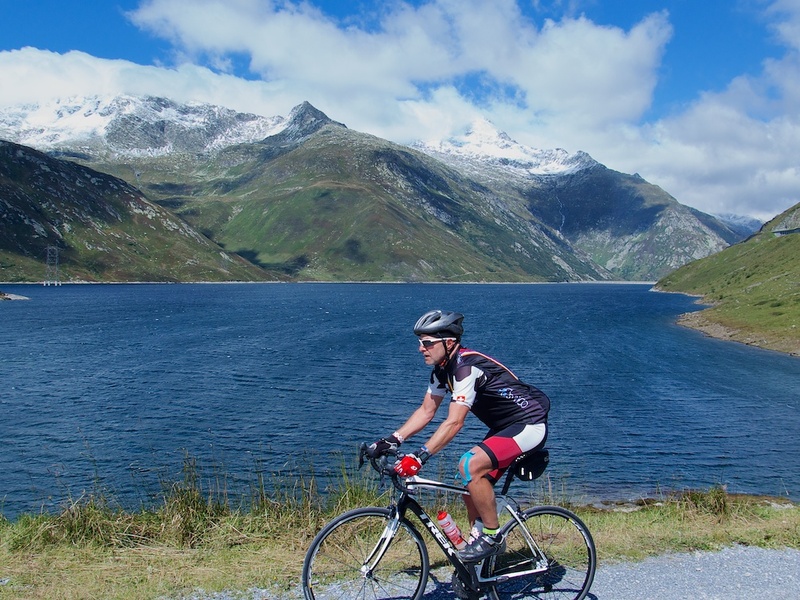 Lac de Tseuzier – Start climbing through the vineyards and eventually end at another high Valais dam/lake. Col de l’Arpettaz – North of Albertville, the west side has almost too many hairpins to count. 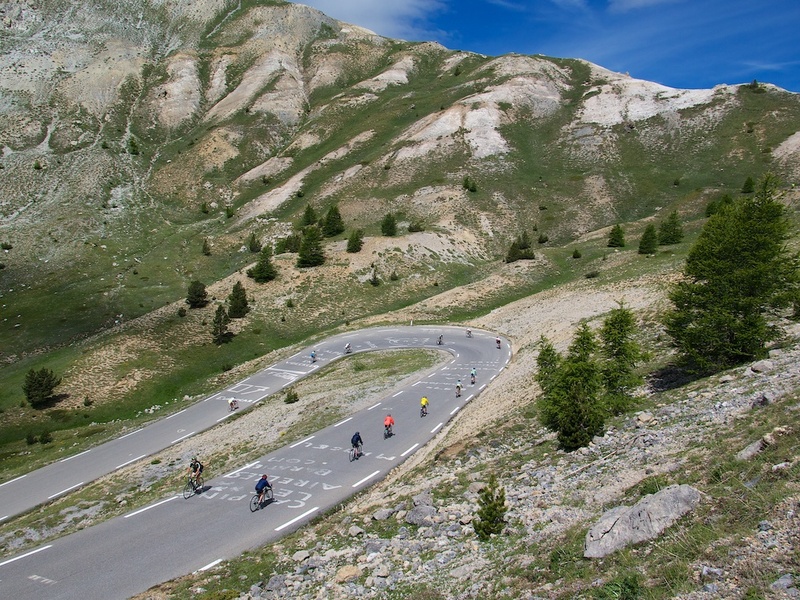 Col d’Aubisque – The second most famous climb in the Pyrenées. 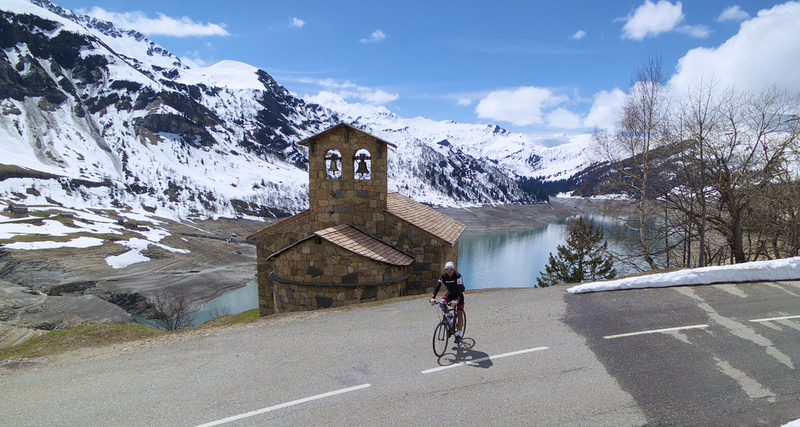 Col du Pré – Super steep climb from Beaufort offers a superb view over Lac de Roselend on far side. Col du Noyer – One of the more beautiful final kilometres anywhere – Hautes-Alpes, France. 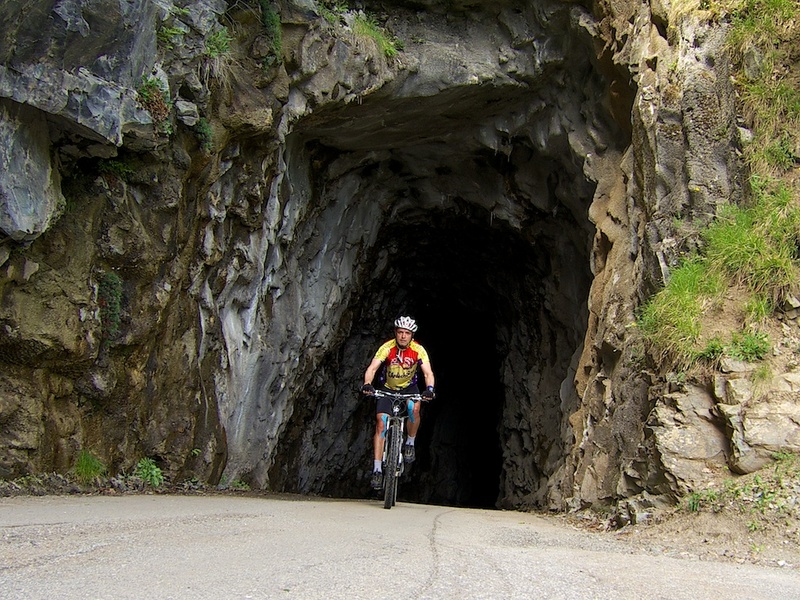 Col du Solude – Bring a light as the tunnels are dark but likely car-free. Cliff climb cut into mountain opposite Alpe d’Huez. 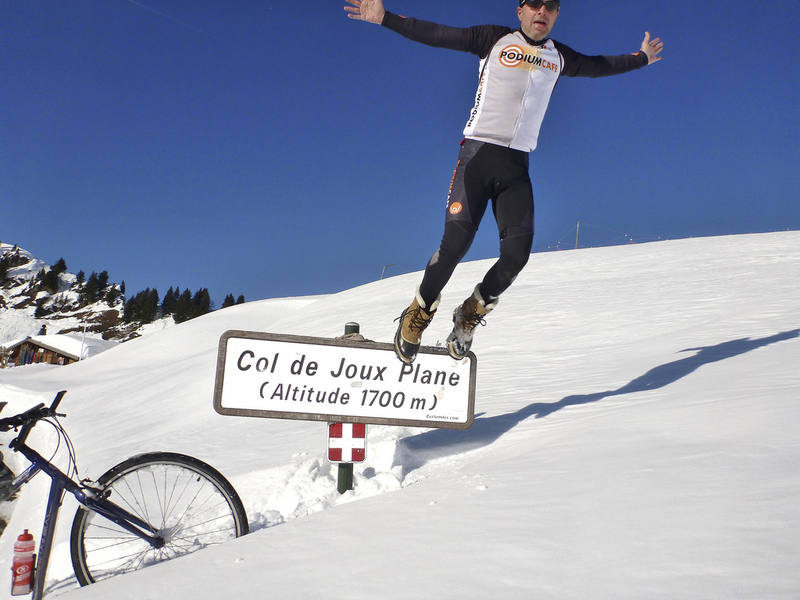 Col de Joux Plane – Virenque made Armstrong suffer here once. 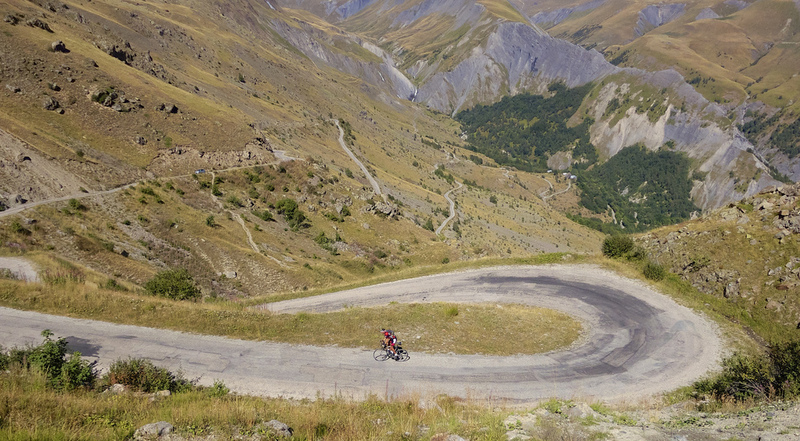 Mont Vial – The remote south French Alps is full of quiet, fun, cliff roads and medium altitude cols. 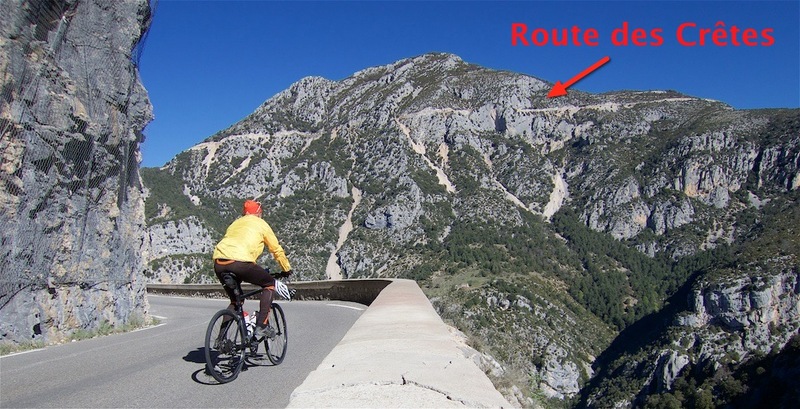 Along one of these cliff roads is a tiny road that turns up to the summit of Mont Vial. Morcles – There are 29 signed paved hairpins to Morcles. But bring a mountain bike on this stunning Swiss-Romande climb that eventually reaches Rionda via gravel. 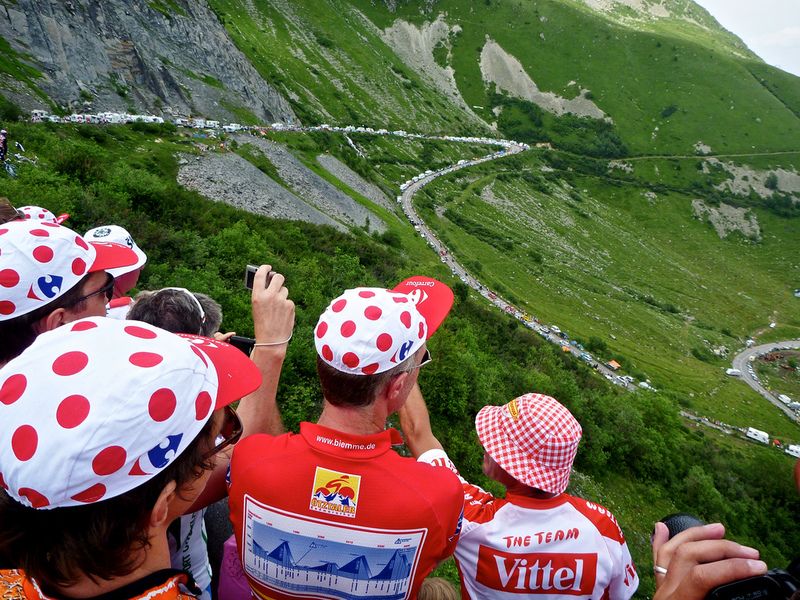 Col du Chaussy – Will become far better known during 2015 Tour de France. 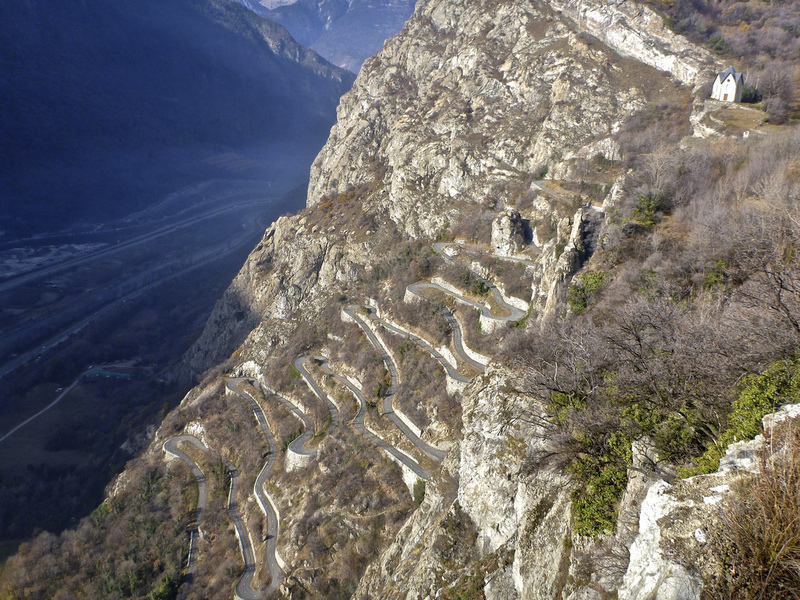 Lower 20% features the amazing Lacets (hairpins) de Montvernier. Mont Salève – Yes, I prefer the five ways up my home mountain to the Alpe. The Le Coin side features a 4km stretch averaging 12%. Some amazing hairpins. Col de la Forclaz – Big Swiss climb linking Chamonix and the Valais. I’ll stick to just one Forclaz on the list, although the best view of Lake Annecy is from the probably deserving Col de la Forclaz de Montmin. La Dôle/La Barilette – Deserted Jura road high above Geneva to the Swisscom tower. 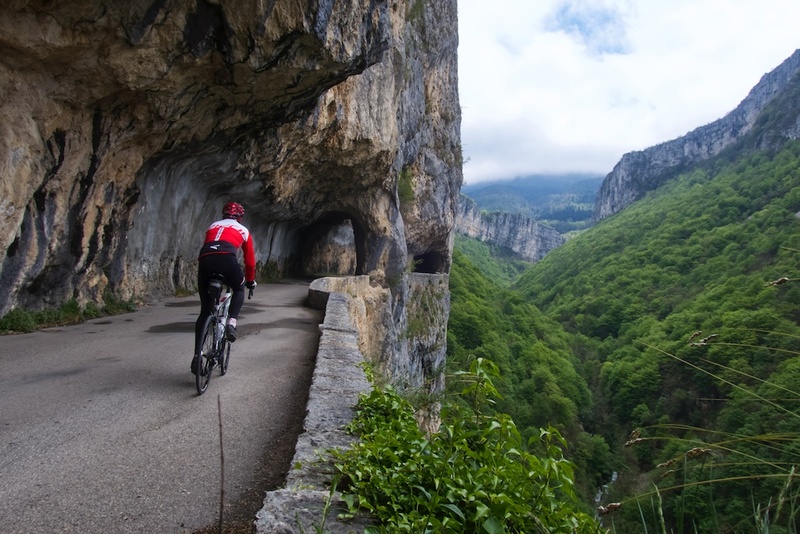 Col de la Machine – There are many wonderful Gorges and cliff roads in the Vercors. This climb past Combe Laval is astonishing – the link also visits the excellent Col de la Bataille. 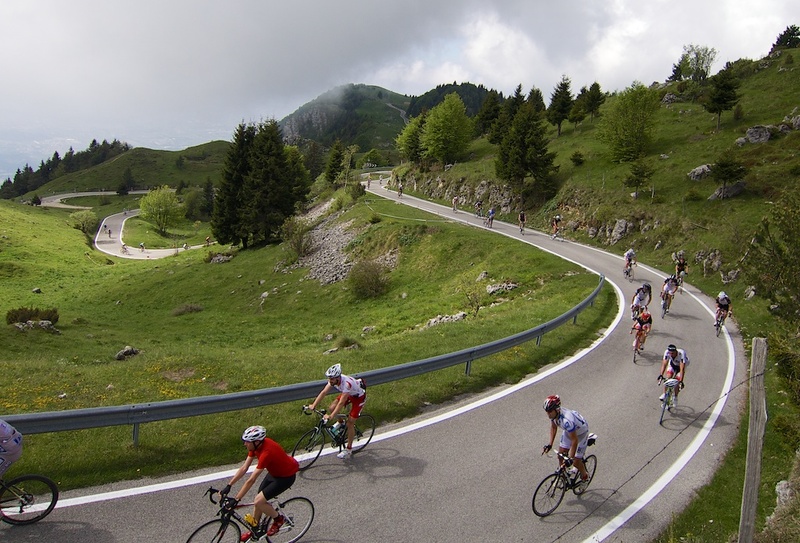 Plateaux des Saix – Like Col de Joux Plane, this climb starts near Samoëns and is equally difficult. 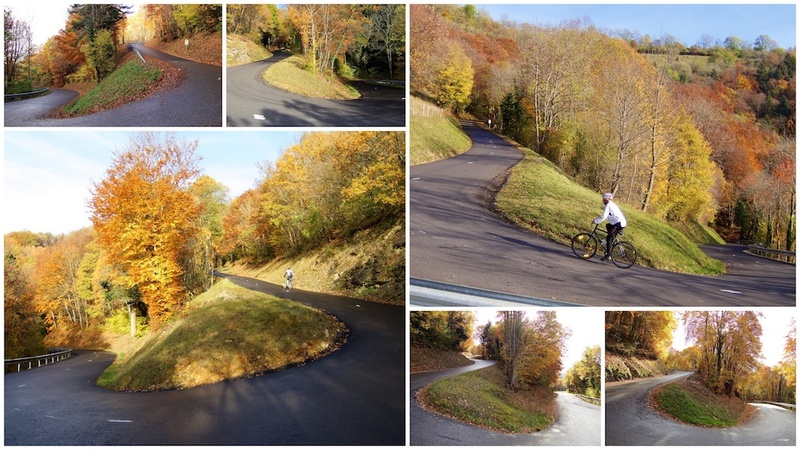 Plateau des Glières – Two fantastic roads up to the Monument Nationale à la Resistance. 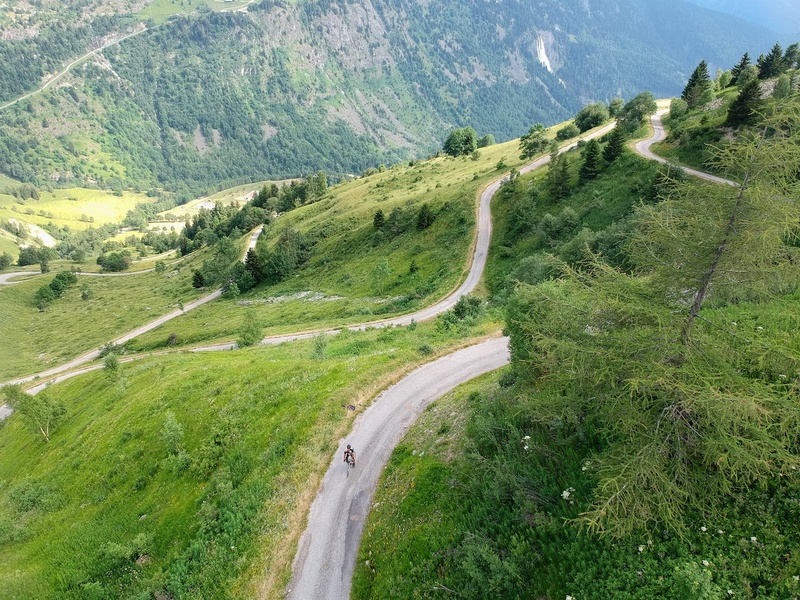 The Secret Road to Col de la Charmette – Shhh – Don’t tell anyone about this amazing road in the Chartreuse Alps (vaguely paved, much closed to cars). 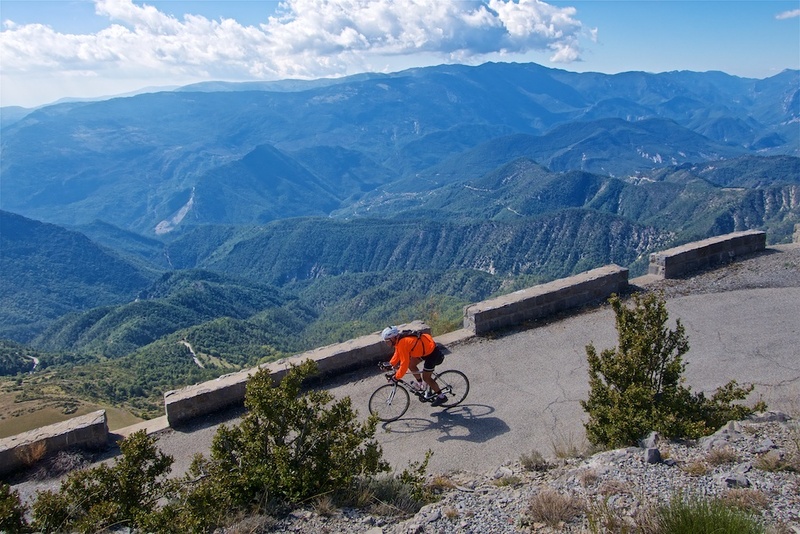 Gorges des Nesques – the lowest and least steep climb on the list, but this 20km ascent near Ventoux passes through a wondeful mini “grand canyon.” Not to be missed. Col de la Moutière – The 5th highest paved road in France – Super quiet, one can see much of the route looking down from Bonette. Col du Mont Noir via Les Gorges du Nan – More Vercors magic. Unbelievable road cut into the cliffs. 5 Cols, 2 Gorges in link. Passo del Bernina – The 8th highest paved road in Switzerland, a full half kilometre vertical higher than Alpe d’Huez. Col de Vars – Big south French Alps climb on the route des Grandes Alpes. Les Arcs – 25 kilometre climb in the Vanoise Alps. Col de Tramassel – In the Pyrenées, this is basically the road to Hautacam, but continuing higher until the paved road ends. Chalet de l’Ebaudiaz – Almost a kilometre longer than Alpe d’Huez, this unknown French Alps road also has almost double the hairpins (39?). EDIT: OK, after adding a few climbs I have reached more than 100 climbs better than Alpe d’Huez. Lac Besson – A few kilometres above Alpe d’Huez. Because if you are going to climb Alpe d’Huez, don’t stop at the town, keep going to the end of the paved road. (and whatever you do, don’t stop at the line painted on the road at the entrance of town, by the restaurants and Trek store like 75% of tourists. At least struggle through town to the official Tour de France finish – it’s signed). 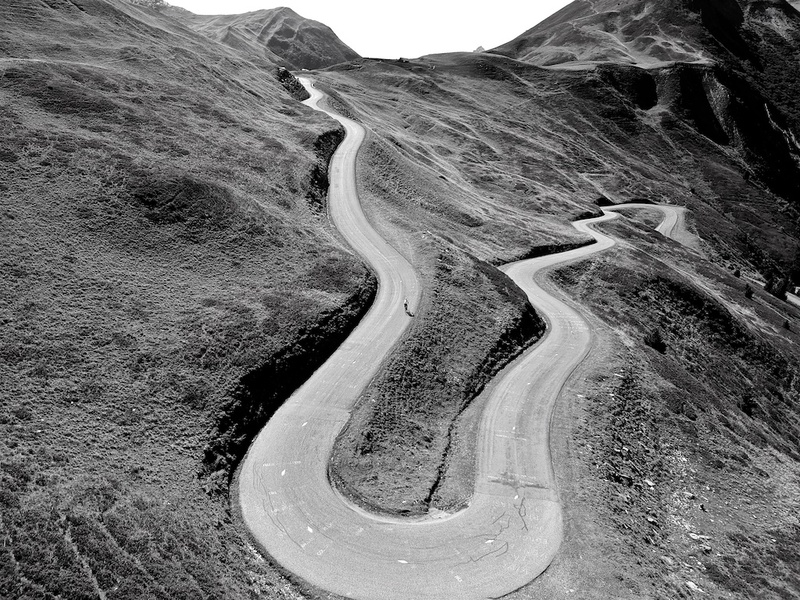 Once I have put a little more thought into this list, I will likely rename it: My 100 Favourite Road Bike Climbs. Note, this is by no means a complete list of climbs in the Alps. See here for a fairly comlete list of climbs that I have cycled. AS ALWAYS, I AM GRATEFUL FOR SUGGESTIONS OF GREAT CLIMBS MISSING FROM THIS LIST. Any Chance these could be plotted onto a map so it’s easier to see where the majority are? yes, good idea, but it won’t happen right away. In the mean time, see this post in a series on the highest paved climbs in France, Italy and Switzerland. The google map at the bottom of the article has 40 or so of the very best climbs on this 100 list plus links to ride details. The blue ones are those from this site. The orange ones are my personal favourites outside this list. Feel free to do this. I’m not sure they’re all correct as I did just some basic sanity checks. I definitely agree – the Alpe is over-hyped / over-marketed. My bucket list just got somewhat longer. Thank you! thank you very much! What a great list. From those 30 something on that list that I have ridden I only disagree with your recommendation of the Ventoux. I consider that one is also much overhyped. But maybe I have done it too often as a tour guide. I would rather climb to the Alpe (and descend via the Sarenne :-)) on a quiet and preferably colder day than the Ventoux from Bédoin or Malaucène. But as you say those preferences are highly subjective. 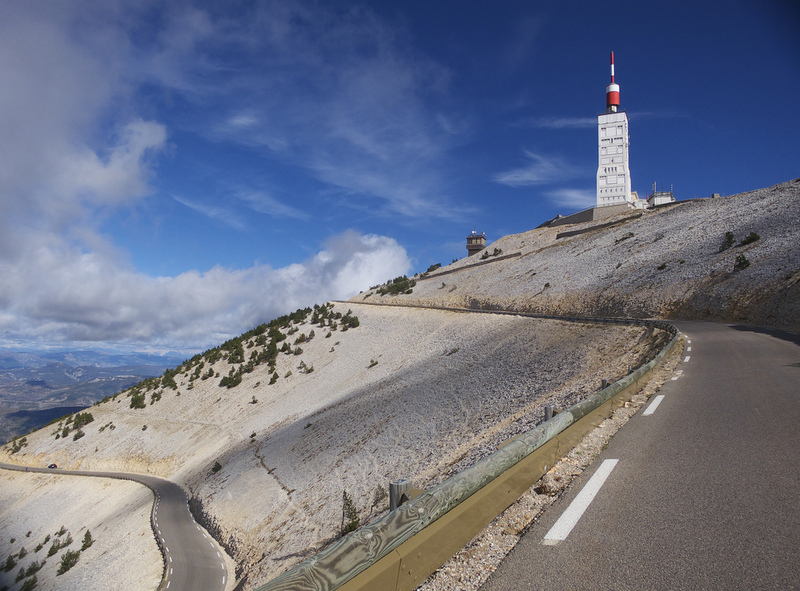 Ventoux in June starting in the dark and arriving at the summit at sunrise might be a fascinating ride though. I would like to add one Col which I think is really missing on your list. The Col de Parquetout. Stay healthy and keep up your great work! Fair point. Things are certainly a matter of taste, and Sarenne is always a fun, quiet ride. Personally, I have always enjoyed Ventoux. So challenging and such a unique environment. And yes, the night ride to see the sunrise is special. Thanks, my favourite comments are always those with ride recommendations. 🙂 I’ll try and visit Parquetout this year. Not too far from the fun Col du Noyer. 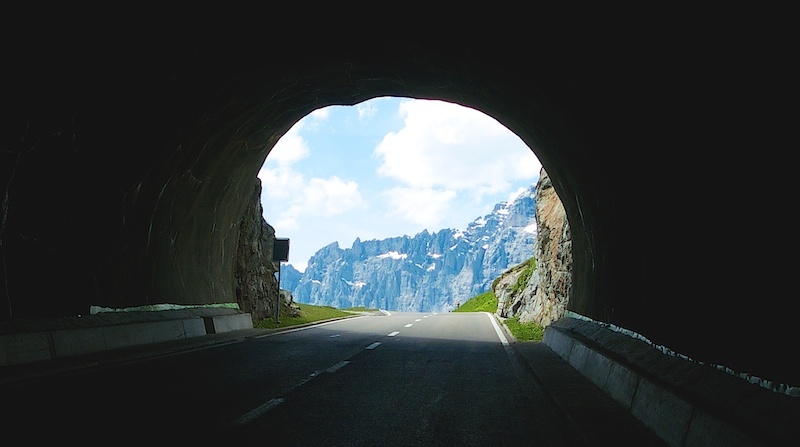 I really enjoyed the Simplon pass – no place for it in here? Great list, brings back some good memories as well as giving me a serious gooo to tackle a few more passes! Thx for comment. Yes, Simplon is beautiful. My “complaint” is that it can be a bit of a fast, main road, and one of those few high passes that has a fair bit of truck traffic. I know a part of this can be avoided by taking a side road, but it never seemed that fun with all the tunnels/avalanche protectors, plus the traffic. Excellent list. I’ll give you 102 Selvino north of Bergamo. About eighteen hairpins and 12 kms from Nembro. Nice to see Lac de Hongrin included. That’s a tough one. Lots of 14% sections going up the Corbeyrier side (from Aigle). Thanks for this enjoyed reading it. Thanks for the Selvino suggestion! Totally agree. See my 2015 Challenge and you’ll see I have Austria as a priority. Yes, Notre Dame du Pré is a very nice quiet climb. What a great site you have! I love cycling in the mountains too and you give me great ideas for cycling trips 🙂 One of my favorite climb is missing in your list. Maybe it’s one of the few you haven’t cycled yet 😉 Port de Pailhères from Usson Les Bains, quiet, tough climb with wonderful hairpins and stunning views at the end. I loved it! Excellent list! I would add Grosse Oscheniksee http://www.salite.ch/oscheniksee.asp?Mappa=, a monster in the alps, and probably the “perfect climb”. It is a private road that takes you to a little lake at 2400m altitude through about 42 hairpins and absolutely beautiful panorama above 2000m. According to salite.ch it is one of the hardest climbs in Europe, although I found it quite enjoyable due to the constant gradient. And the road is closed to cars. Much better than Grossglockner. Also my favorites in the region Friuli Venezia Giulia and probably in the alps: Monte Crostis and Panoramica delle Vette http://www.salite.ch/crostis.asp?Mappa=, and Monte Mangart http://www.salite.ch/9412.asp?Mappa= in the Italian-Slovenian border. Happy climbing! Great list! Gives me a lot of inspiration! Where is the col de la Couillolle via the Gorges du Cians? From your great list I would like ride next year Col de la Croix and road to Lac Hongrin in Switzerland and Col du Sabot in France :-). Great list! I climbed 94/100. If you want a lunar experience, so much better than Mont Ventoux: PICO VELETA, the highest paved road in Europe. I’m happy to see I’ve ridden many of these climbs, but some to be added to the list for sure. So glad you have included the little known Col de l’Arpettaz, with its 42 hairpins (from Ugine) and fantastic views across to Mont Blanc on the descent down towards Flumet. It’s one of my favourite local rides when the legs are feeling good. 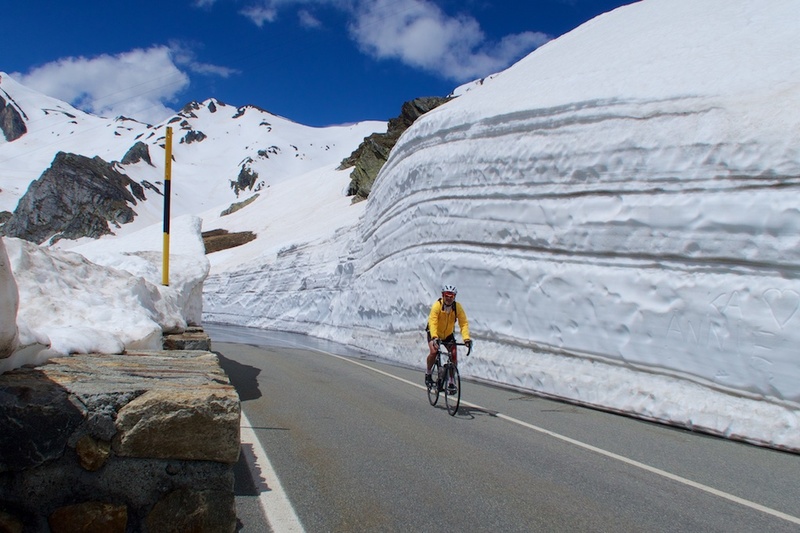 We took some British cyclists up there on a trip recently and they said it was harder than the Tourmalet, and couldn’t believe they hadn’t heard of it before. Definitely one of the highlights of the holiday for them. Would love to see it featured at the Tour de France one day!! Great updates Will, and whilst I agree wholeheartedly with your list, I am wondering why Colle De Finistre is not included? Please explain…………..
Hi Ian, Colle delle Finestre is unpaved for the top 8 kilometres. This list is only paved climbs. I may do a favourite gravel list, but if I added Finestre, I’dd add 100 climbs people have never heard of. my goal was to keep this list accessible to road cyclists (I know, many road cyclists ride Finestre but …). Are the locations of each port placed on Google maps with stars? So, if we go to an area, we would not stop uploading another one.